Location, Location,Location!…Nocatee & St Johns County! #1 rated school district! Another 100% Energy Star Certified Home built by Providence Homes in The Colony at Twenty Mile! Energy Efficiency never looked so good! 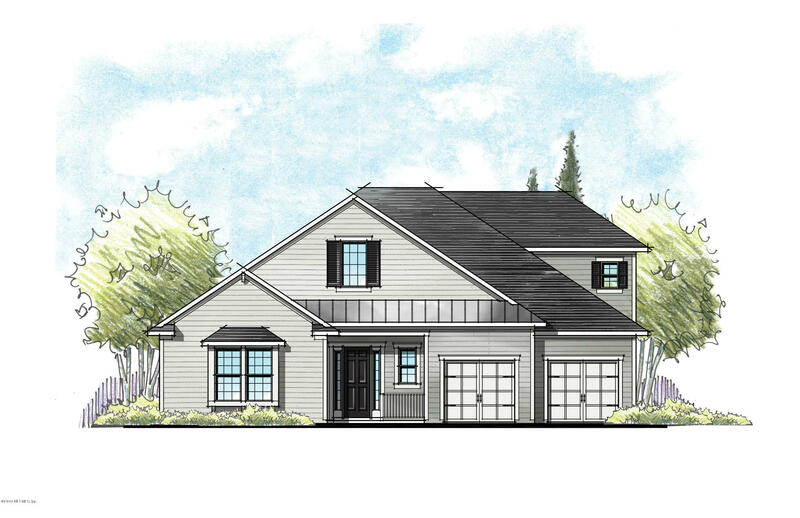 The award winning Franklin Quick Move-In Home is a spacious 3,338 Sq. Ft. 5 bedrooms, 4 baths, featuring Family Room, Study, 2nd floor bonus room or bedroom Extended Covered Patio and 3-Car Garage. Appointments include ceramic tile flooring in the Foyer, Family Room, Kitchen/Cafe, Laundry Room and all bathrooms, Quartz Kitchen Countertops w/ Island, Stainless Steel Kitchen Appliances, Ceramic Tile Backsplash, more. Estimated JULY 2019 completion.